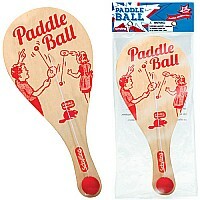 You'll be challenged and delighted in this game that confounds your ability to visualize and match patterns. 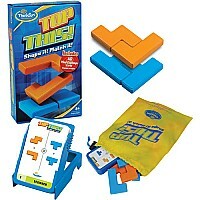 Game cards specify different orange and blue puzzle shapes. You must create are excellent for helping kids develop spatial identical shapes by stacking orange pieces on top of blue pieces, or vice versa. How difficult can it be? 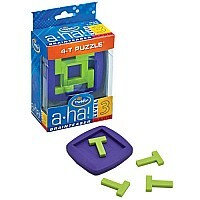 This surprisingly tricky game will have you slapping your forehead in happy exasperation. 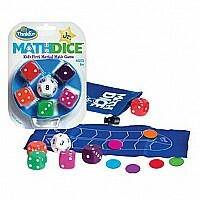 Intermediate and expert levels offer more challenging fun with greater numbers of game pieces. 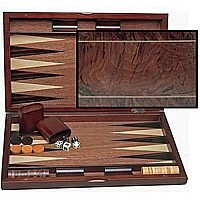 $4.95 Wood Inlay Backgammon 19"